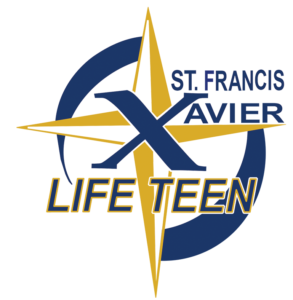 St. Francis Xavier is a parish of people on a journey together, through life and to God. We come with all our own stories and all at different steps along this journey. Yet, on this journey we know what we need, above all, is God. We also need each other to help us to grow in discipleship, faith, community and love. We are here to walk with each other, and at some points we will serve and at other points we are blessed with a community that will support us. Together we learn what Jesus has planned for our lives and that He gives us the grace to accomplish it. Like our patron saint who navigated the world to preach the Gospel in distant lands, we know we must not journey alone – we too are called to reach out and help each other become the people God created us to be. 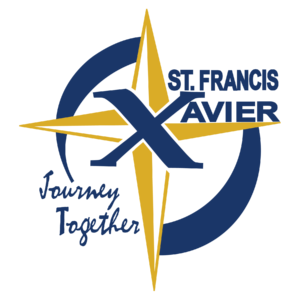 Click here to download high-resolution PDFs and PNGs of our parish brand. 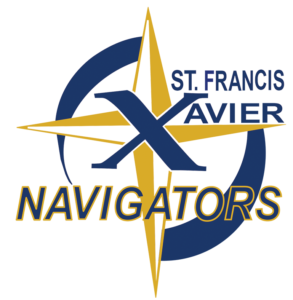 Please consult our Brand Guide prior to using these images and the St. Francis Xavier name.